TCT2000 (above) and CIM2000 (below). 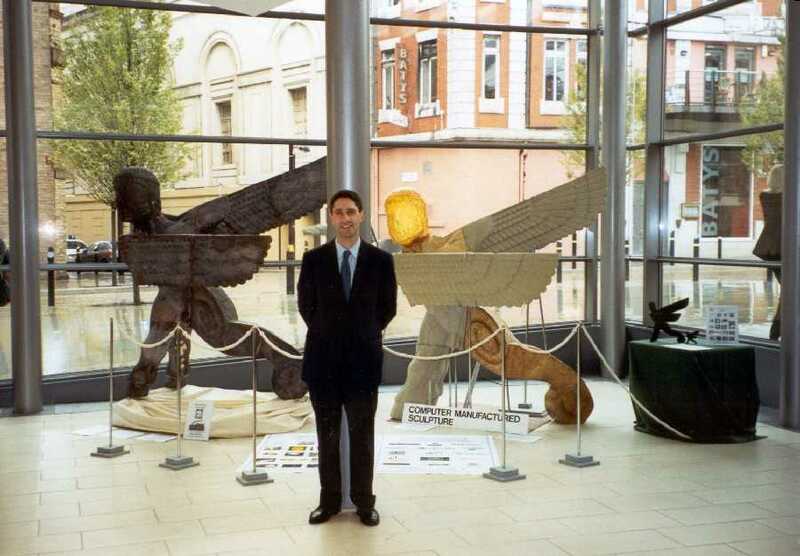 1999 October Time Compression Technologies '99, Nottingham, UK. 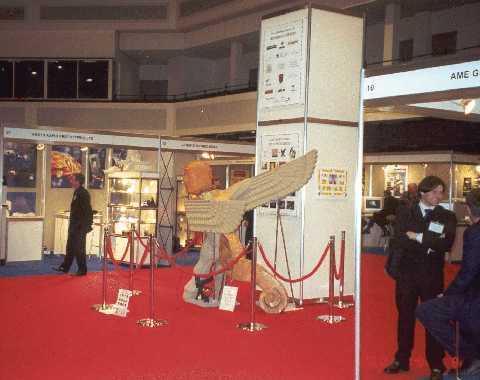 October Computers in Manufature'99, National Exhibition Centre, Birmingham, UK. 2000 May Williamson Park Art Gallery, Lancaster, UK. June The Quaker Gallery, Leicester Square, London, UK. September Teaching Souls to Fly (conference), Mirfield, UK. October Peterborough Art House, Peterborough, UK. 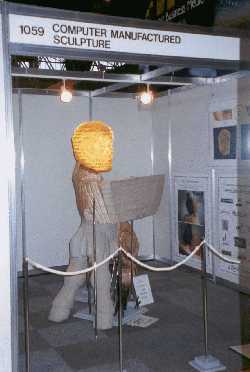 TCT2001 (above), 2m bronze, the artist, 2m computer parts. On the table is the original size 30cm sculpture and a 10cm computer copy.